Traveling solo is no longer unthinkable. For many years now, more and more people are inspired to travel alone to discover a new place on their own. With the help of blogs, online magazines, and other digital resources, trips—especially Philippine solo adventures—have also been easier to plan. After a two-hour travel time from Laoag City to Adams, hike through the mountain villages and rice fields to get to Anuplig Waterfalls. Anuplig has a 25-foot drop and a pool that is perfect to swim in. Approach the locals and ask for help if you need directions — they are very friendly and will offer to guide you to the falls. This natural beauty is off the beaten path so it's a perfect escape for the solo traveler. 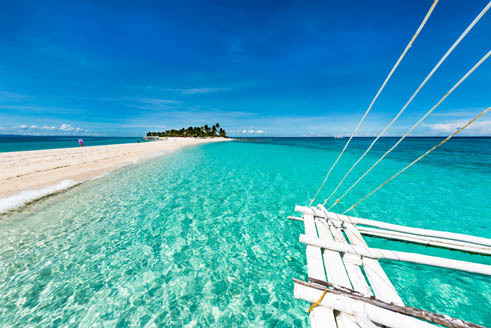 Spend five days in the province to enjoy nature and have an all-out adventure: see the underwater beauty when you snorkel and dive in Apo Island, have a relaxing day by watching whales and dolphins along Tañon Strait, trek the mountain trails to reach the 100-feet Casaroro Falls, head to Valencia's terrain and ride the ATV, and finish the trip by camping out in the 6,000 hectare Forest Camp. 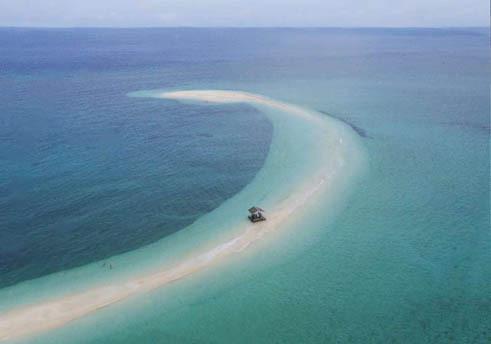 One of Leyte's and Philippine travel's best kept secrets, Kalanggaman Island, is slowly gaining popularity among travelers as a must-visit destination. There aren't any fancy accommodations, restaurants, and shops on this island so if you're planning to spend the night, be sure to bring along with you a tent, plus enough food and necessities with you. The turquoise blue waters are perfect for swimming. You'll want to bring some gear for checking out the rich corals underneath. 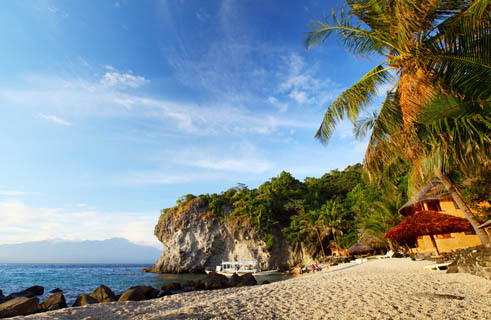 When we think of Mindoro, we usually think of Puerto Galera, beaches, and annual music festivals. Mindoro is the hub of the annual Malasimbo Festival. 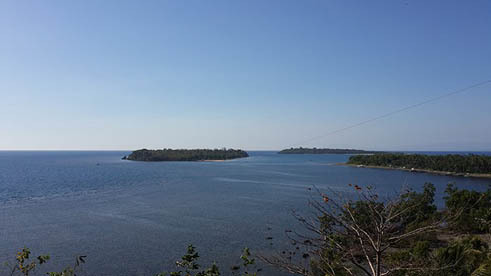 Recently, Sablayan Adventure Camp added a brand new activity for travelers. If you are an adventurer, try out the newly opened world's longest zipline. How long is it, you ask? It's so long that you actually get to land on the next island, approximately 1.4 kilometers away from where you take off. Camiguin is one of those places that doesn't just give you pristine white sand beaches, it is also known for its old volcano trail and numerous volcanic domes. It is definitely a favorite destination during Lenten Season where you can climb up Old Volcano's peak and visit the Stations of the Cross depicted through life-size statues. You can also swim at Sto. 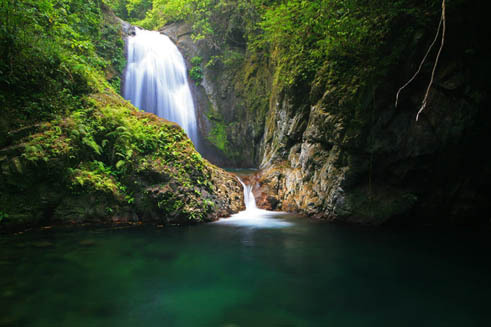 Niño Cold Spring or opt instead for Ardent Hot Springs with its waters coming from Mt. Hibok-Hibok, with temperature reaching up to 40 degrees Celsius. Don't forget to visit Mt. Vulcan where you can find one of Camiguin's most iconic spots, the white cross that marks the Sunken Cemetery. Wherever you feel like going, always remember to pack everything you will need on that trip, together with some snacks to take on your solo travels. Life Gets Better encourages you to go to these breathtaking destinations and have time to reflect on your own and enjoy Mother Nature at its most beautiful.